UNITED NATIONS, Oct. 25 (UPI) — International sanctions designed to block North Korea deployment of overseas labor are not working and the state-sanctioned workforce in Russia and the Middle East remains a significant source of revenue for the Kim Jong Un regime, a defector said. Roh Hoi-chang, a former central party secretary for the External Construction Supervision Bureau in North Korea, told UPI a source in the regime spoke to him a week ago. 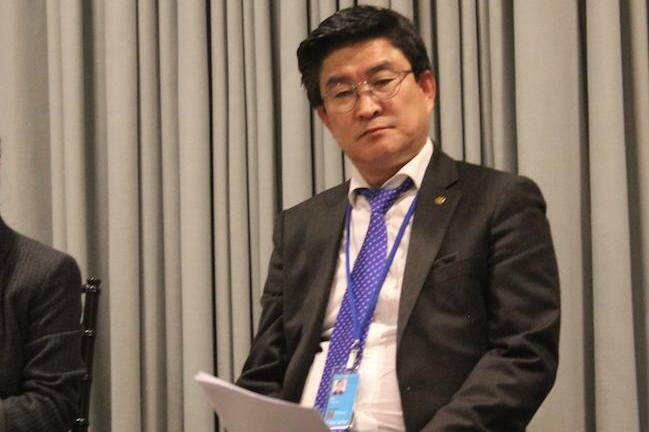 Appearing at a North Korea human rights event at United Nations headquarters on Wednesday, the defector said he maintains contact with sources he developed while he worked at sites in Russia and the Middle East for seven years. He escaped in 2013 and resettled in South Korea in May 2014. According to Roh’s source, United Nations Security Council sanctions Resolution 2375 is not being properly enforced at sites, often under private supervision. “Sanctions, to my knowledge, has not done much [to curb] North Korea,” he said. 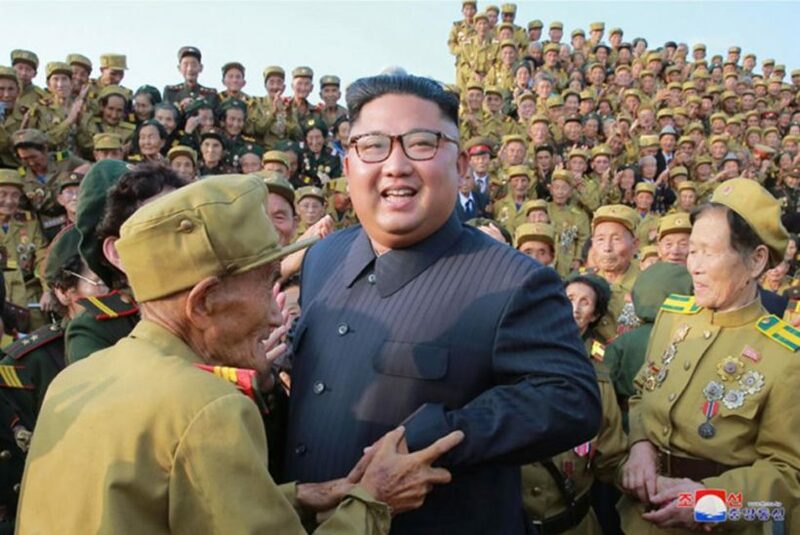 The defector also said the private employers who need a cheap North Korean workforce willing to endure harsh conditions are often “out of reach” of local governments. The companies reap profits from using the cheap labor, Roh said, as states look the other way. “We would sometimes get injured on the job, and because so many people, 10 to 30 per small room, lived together, we would catch diseases,” Roh said, recalling his time at a Middle East work site where the temperatures would average 100 degrees Fahrenheit during the day. Published at UPI on October 25. Reprinted here for educational purposes only. May not be reproduced on other websites without permission from United Press International. NOTE: Before answering the following questions, read the “Background” below. b) How is this forced labor possible after the UN Security Council Resolution 2375, agreed to by all UN member countries, was implemented? c) Read the “Background” below the questions. What responsibility does the entire UN have to ensure that their member countries involved end the slave labor practices? d) What responsibility does FIFA have to conduct an investigation and consider moving the 2022 World Cup (and all following) to countries where human rights are observed for all people? It is an open secret that a significant number of North Korean labourers work in China and Russia in border cities, especially in Siberia. But owing to minimal record-keeping, little is known about the workers’ presence or activities. According to testimonies from workers and defectors, labourers from the reclusive state said they receive almost no salaries in person while in the Gulf emirate during the three years they typically spend there. The North Korean regime, led by Kim Jong-un, is currently subject to international sanctions as it continues to defy calls to end its nuclear programme and address severe human rights abuses. A recent UN report accused the regime of crimes against humanity. The foreign currency earned by its overseas workforce is a crucial tool for propping up the isolated country’s fragile economy. In the sprawling construction zone that will eventually become Qatar’s gleaming $45bn (£28bn) Lusail City, where the 2022 World Cup final will be held, four construction sites are said to be using North Korean workers, although there is no suggestion they are involved in building World Cup stadiums. On one site, North Koreans battled biting desert sands and searing heat to construct a luxury residential tower. They laboured on as day turned to night, long after workers from other nationalities had left the site. “The descriptions of the conditions North Korean workers endure in Qatar – abuse of vulnerability, withholding of wages and excessive overtime – are highly indicative of state-sponsored trafficking for forced labour,” a modern form of slavery, said Aidan McQuade, the director of Anti-Slavery International. Sources in Qatar estimate there may be as many as 3,000 North Koreans working on projects across the emirate. They are part of an army of workers the North Korean regime exports around the world to bring in much-needed foreign currency. According to defectors’ groups, there may be as many as 65,000 North Koreans abroad, mainly working in Russia, China, Mongolia and the Middle East.